Complying with the Customs rules and regulations governing imports may feel like you're caught in endless twists and turns. 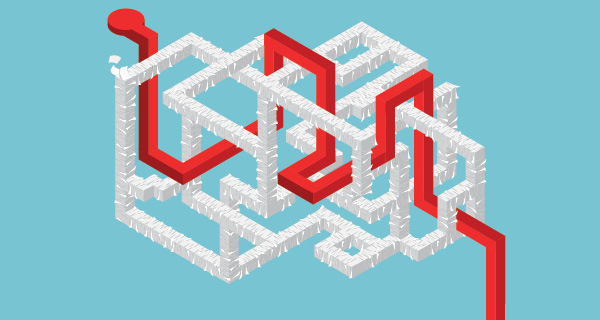 Here's how to master the maze. In 2015, the value of goods imported into the United States topped $2.2 trillion, the U.S. Census reports. The number of trade-related rulings within the U.S. Customs and Border Protection (CBP) database tops 190,000, while the U.S. Harmonized Tariff Schedule spans 99 chapters. "It's a bit of a labyrinth to bring goods into the United States," says Amy Magnus, director, customs affairs and compliance with A.N. Deringer, a St. Albans, Vt.-based supply chain solutions provider. "But it works." Importers need to know what they're doing, however. Ensuring goods proceed through Customs as smoothly as possible requires using "reasonable care with everything involved in international trade," says Nick Mauro, director, global supply chain with Hampton Products International Corporation, a residential hardware, lighting, and travel security products company. Based in Foothill Ranch, Calif., Hampton Products imports more than 1,000 containers annually. Importers need to understand the relevant regulations, and ensure information such as product descriptions and classifications is complete, correct, and submitted to the CBP expeditiously. Demonstrating reasonable care is not just a best practice—it's a legal obligation. "The law says an importer must use reasonable care," says David Craven, partner with Riggle & Craven, a Chicago-based law firm focused on international trade and customs law. 1. An increase from $200 to $800 in the "de minimus" value of goods that can move through Customs without being subject to duty. "It's particularly important for e-commerce, which generates a high volume of small shipments," says Lawrence Friedman, president of the Customs and International Trade Bar Association. Other government agencies, such as the Food & Drug Administration, may still want to be aware of items under their jurisdiction coming into the United States. At this point, there doesn't seem to be an automatic mechanism for reporting these shipments to the other government agencies, so it will be up to the importer to provide this information. 2. The creation of virtual Centers of Expertise and Excellence that "aggregate people from Customs with the greatest knowledge of related industries," such as consumer goods or base metals, Friedman says. Companies now can work with one team of experts in Customs, says Greg Maddelini, customs brokerage marketing manager with UPS. Team members should be able to provide in-depth insight on questions about duty rates, countries of origin, and other concerns. 3. The establishment of the Trade Remedy Law Enforcement Division, which will focus on developing and administering policies to prevent and counter evasion. It also will direct enforcement and compliance assessment activities concerning evasion. The Trade Facilitation and Trade Enforcement Act essentially gives the CBP responsibility for investigating allegations that an importer has evaded anti-dumping or countervailing duties. "The point of the order is to protect domestic industry from unfair trade practices," Friedman says. Because the legislation was just recently signed, many of the regulations pertaining to these provisions still need to be issued.